Details of our regular weekly services at St George’s are below. To find times for annual and occasional services please scroll further down this page or click here for the Church Diary. If you’ve still not found the details you were looking for, please do contact us. Our Star Club for pre-school children and Sunday Club for primary school aged children meet during the first half of the 9.30am service. 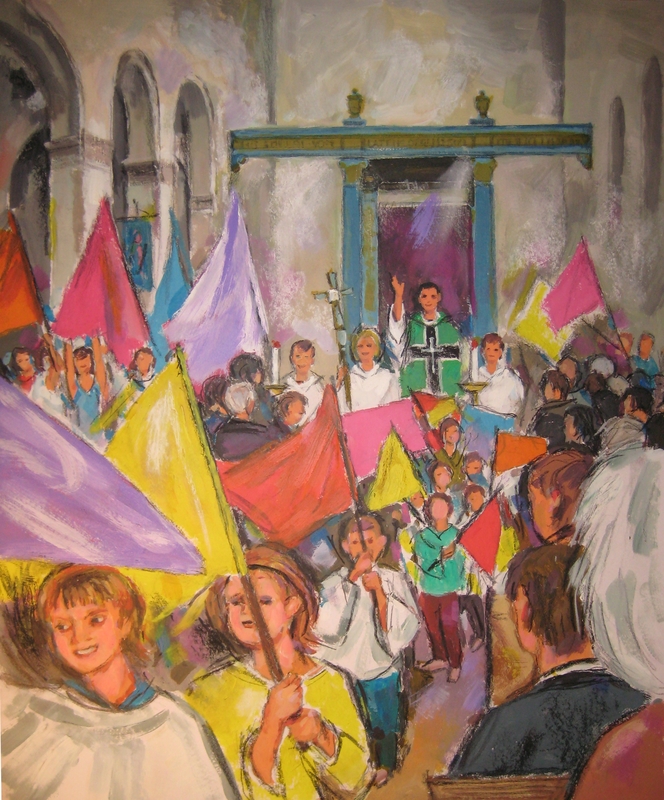 There is no Sunday Club or Star Club on the 1st Sunday of each month which is an all-age communion, children stay in church for this service which includes an all age presentation and flags. For families with babies and toddlers we have a toddler area where you are welcome to sit with your children, its stocked with books, age-appropriate toys and paper and crayons. You are of course equally welcome to borrow toys from the play area and sit with your children in a pew. St George’s has a housegroup that meets regularly for prayer, fellowship and study. If you are interested in joining the housegroup please contact the Church Office. We also have a number of ‘Open House’ groups that meet regularly in peoples homes. Part of the ethos of Open House is that anyone can dip in, try out, join or leave any of the groups at any time. As part of our regular cycle of prayer we pray each week for a specific road or area in the; see the diary for details. If you have a request for any prayers to be said then please contact the church office. We also have a confidential emergency prayer chain, please ask the church office (01635 41249) if would like contact details for the emergency prayer chain.During the 9.30 Sunday communion, our Prayer Ministry Team is available for those who wish to receive prayer for healing.